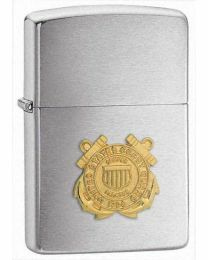 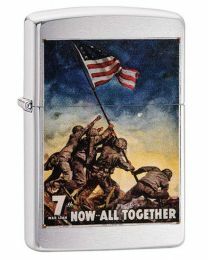 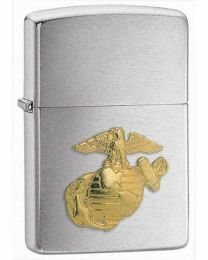 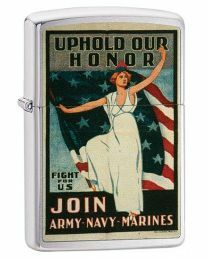 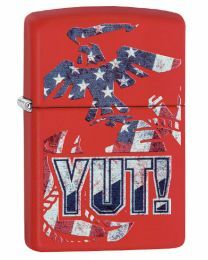 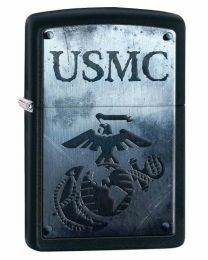 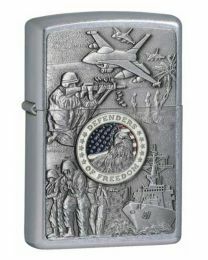 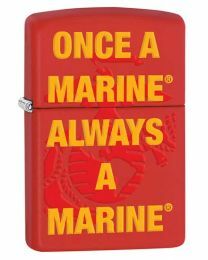 Brushed chrome Zippo lighter with the US Marines logo. 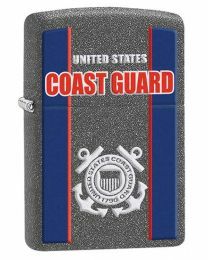 Brushed chrome Zippo lighter with the US Coastguard logo. 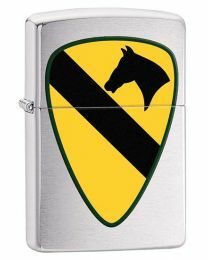 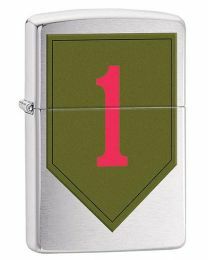 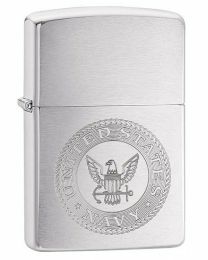 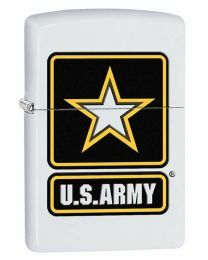 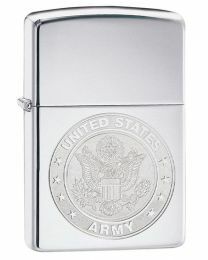 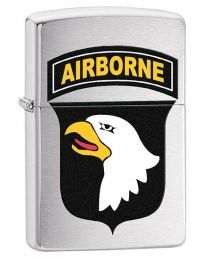 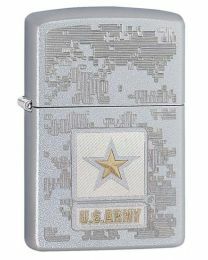 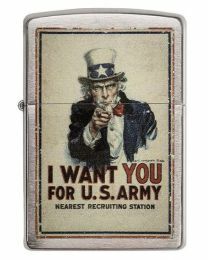 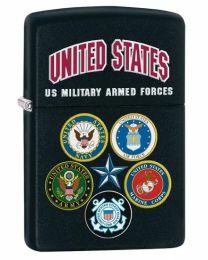 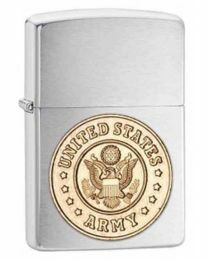 Brushed chrome Zippo lighter with the US Army logo. 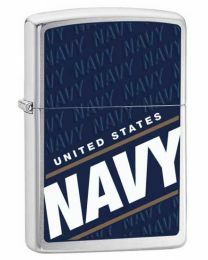 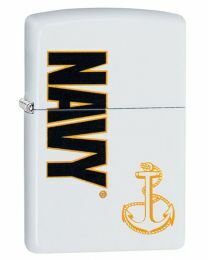 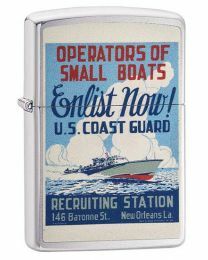 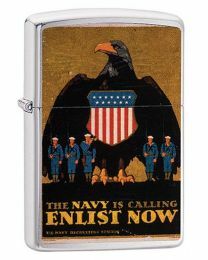 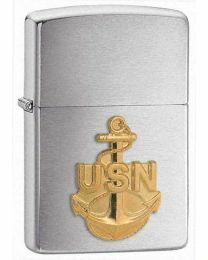 Brushed chrome Zippo lighter with the US Navy logo. 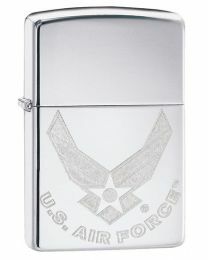 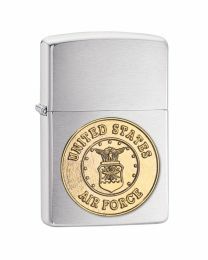 Brushed chrome Zippo lighter with the US Air Force logo.